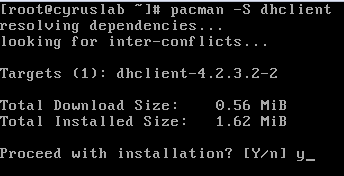 pacman uses the mirrorlist located in /etc/pacman.d/mirrorlist file. 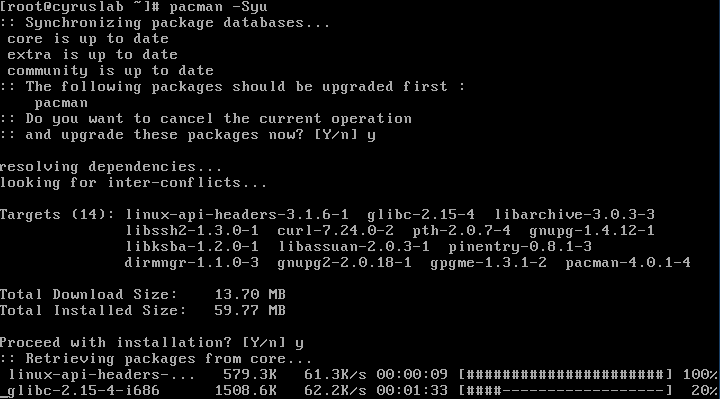 Arch Linux advised to upgrade pacman first before downloading any softwares. Need to press the keyboard to generate more bytes for key randomization. what it means is that I should generate more bytes to provide key randomization, so what i need to do is just hold on to the spacebar until it totally randomized the key. This entry was posted in Linux, System OS and tagged arch, arch linux, arch linux installation, pacman. Bookmark the permalink.